EIMASS® Exquisite Point Back Glass Crystals in Silver Casings. 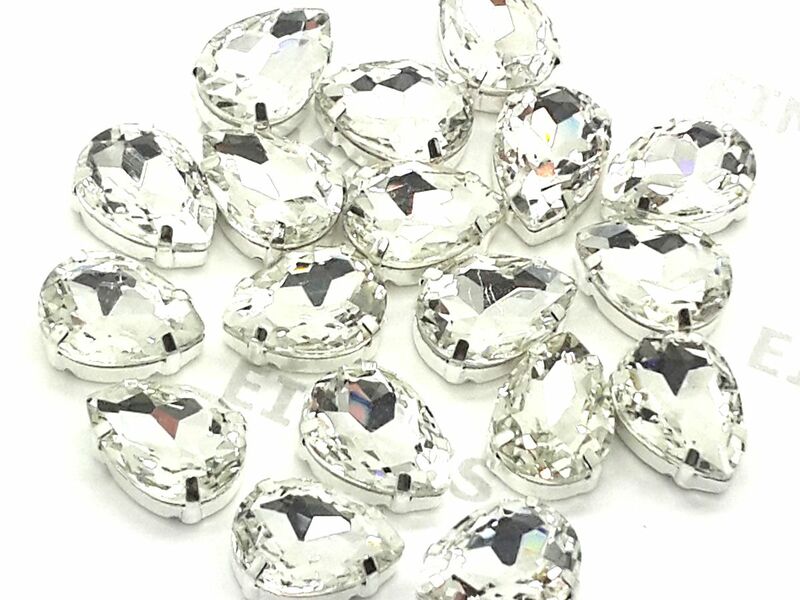 Excellent quality at an affordable price, these easy to use crystals are best for a variety of projects including embellishing clothes, costumes, bridal dress, wedding decor, bags and much more. EIMASS stones are known for their quality, machine cut multi faceted chatons set in silver casings display an optimum brilliance. Factory Direct EIMASS stunning quality point back rhinestones in silver settings. Available in various colour coatings, just sew or glue them on.